This time it applies to the 3.0-litre diesel engine fitted to the 2014 Volkswagen Touareg, the 2015 Porsche Cayenne, and the 2016 Audi A6 Quattro, A7 Quattro, A8, A8L, and Q5. It is the first time that Porsche has been implicated in the scandal. These alleged violations are in addition to the NOV issued on September 18th and the ongoing investigation by EPA alleging a defeat device on certain 2.0-litre diesel engines for MY 2009-2015 vehicles. "On September 25, the California Air Resources Board sent letters to all manufacturers letting them know we would be screening vehicles for potential defeat devices,” said Richard Corey, Executive Officer of the California Air Resources Board. “Since then ARB, EPA and Environment Canada have continued test programs on additional diesel-powered passenger cars and SUVs. These tests have raised serious concerns about the presence of defeat devices on additional Volkswageb, Audi and Porsche vehicles. Today we are requiring Volkswagen Group to address these issues. This is a very serious public health matter. ARB and EPA will continue to conduct a rigorous investigation that includes testing more vehicles until all of the facts are out in the open." A statement issued by Volkswagen in response said: "The United States Environmental Protection Agency (EPA) informed Volkswagen Aktiengesellschaft on Monday that vehicles with V6 TDI engines had a software function which had not been adequately described in the application process. 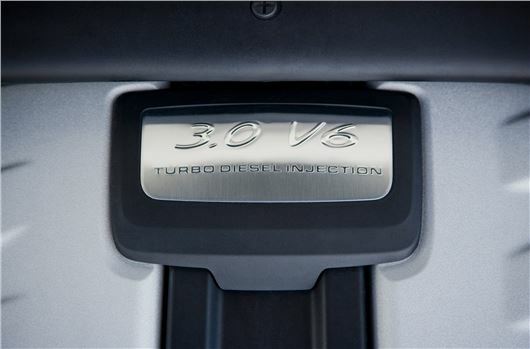 Volkswagen AG wishes to emphasise that no software has been installed in the 3-liter V6 diesel power units to alter emissions characteristics in a forbidden manner. Volkswagen will cooperate fully with the EPA to clarify this matter in its entirety."